The Scottish Fire and Rescue Service (SFRS) wants to work with farmers in South Lanarkshire, Dumfries and Galloway and Highland in a project set up to help reduce the risks to your farm. There are over 9,000 farms in Scotland and SFRS firefighters respond to farm-related incidents including building and vehicle fires, special services such as casualty extrication following road traffic collisions, large animal rescue, flooding and fires involving grass, crops and refuse as well as false alarms. 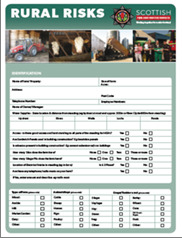 Download our Rural Risks Form, once you have completed the form Save the PDF on your PC. For any other enquiries: Please contact Scott Kennedy, email scott.kennedy3@firescotland.gov.uk with your farm name, address and postcode and your contact number. Farms are particularly vulnerable to wilful fire-raising with their isolated location, open boundaries, readily ignitable hay and straw stacks often making them easy targets. You can help us by filling in a brief questionnaire about your farm. Download and complete our Rural Risks Form now and you could win a SmartWater Farm Protection Kit and full crime risk assessment (together worth over £750) from SmartWater Technology Ltd. In the event of responding to an incident our firefighters will already know what risks are located where on your farm. This will help our crews make a better informed, tactical response which will help bring incidents to positive outcomes and can achieve significant reductions in the level of damage or loss sustained. Only authorised fire service personnel will have access to this information, which will also help our crews to safely deal with an emergency and minimise the risk to life and property. 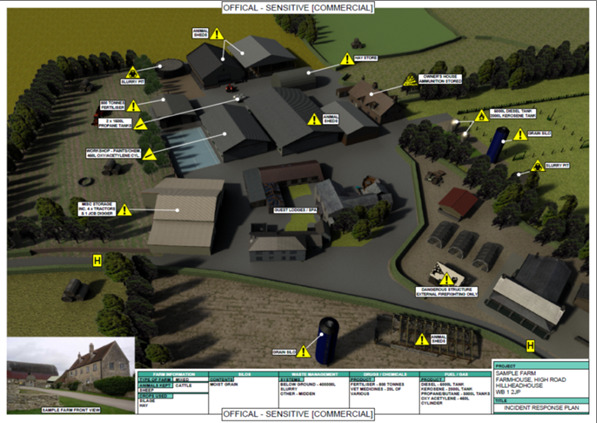 This is a highly detailed plan of the location, with sufficient details presented to crews to support an effective response to incidents, a more efficient and timely deployment of resources. It will contribute to the overall safety of all persons present on the incident ground. NFU Scotland understands the problems farmers can face when it comes to fires on farms and is keen to engage with SFRS to help minimise damage if a fire occurs, ensuring their safety as well as that of the farmers, their families, employees and similarly any livestock that may be on farms. Police Scotland have set up a ‘Rural Forum on Crime Awareness’ which allows lines of communication to be opened between partners, the farming community and the rural community as a whole. 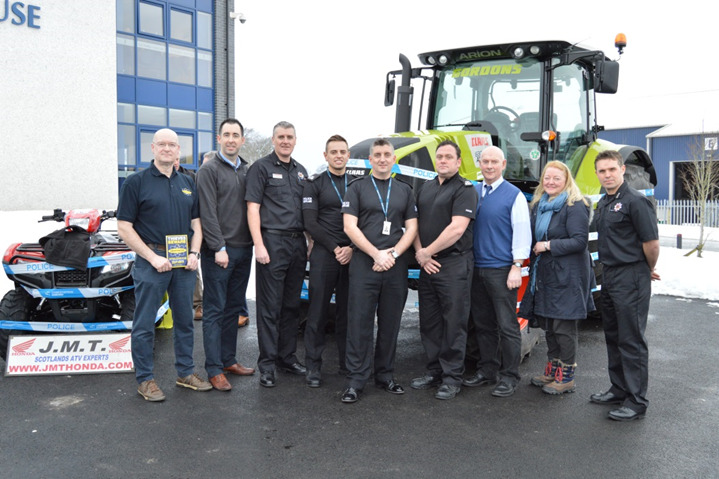 Police Scotland can also assist farmers by providing security and crime prevention advice. Police Scotland work in partnership with SmartWater Technology Ltd to reduce crime in Scotland.  SmartWater Technology Ltd is a ‘Secured by Design’ licensed company whose forensic marking products meets the highest British and European standards, including PAS 820. It has been used in over 1000 convictions in British courts. Due to continuing crime risks within rural communities SmartWater are working in partnership with NFUS, Police Scotland and other organisations to provide crime deterrence and detection across vulnerable communities and locations. SmartWater Technology Ltd are supporting this project by offering one premise which completes the new Rural Risk Form a prize of a full crime risk assessment of a chosen property and a SmartWater Farm Protection Kit (together worth over £750). Scottish Land & Estates is the new voice of land-based businesses in rural Scotland. Find out how landowners and rural businesses are working for the countryside. They also promote the wide range of benefits land-based businesses provide: the tourist attractions, leisure facilities and landscapes enjoyed by the public, as well as, housing, employment, tourism and enterprise and farming opportunities.